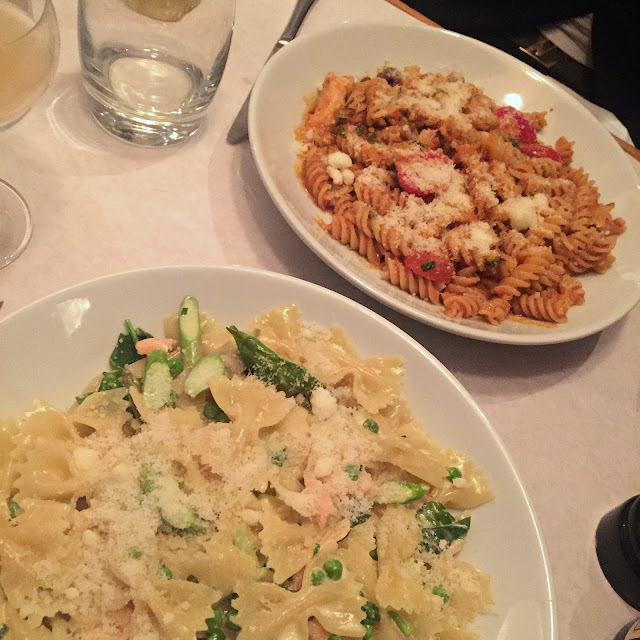 With 2 months of summer holidays and dating a guy that is just as much of a foodie as I am, I have discovered some pretty awesome places to eat in London that I just had to share with you. When it comes to eating out, I usually stick to places that I know or places that are relatively affordable as a lot of these places were celebration meals - it seems I had a lot to celebrate this summer haha. I went here as our final meal with my fellow interns while I did my placement at Disney. The one we went to is based in Covent Garden and it's an Asian fusion tapas-style restaurant with interactive tables which give it that modern, quirky twist! It's quite dark and modern inside, with iPads that they have on each table that allow you to order your food/drinks without the need for a waiter. While you wait, you can play on the interactive table with your friends and family around the table. As much as I loved the idea of the games - it did mean that you lose that social aspect of eating out: communication! We did, however, get bored of the games after a while! When we went we stupidly ordered 3 dishes each, but I would recommend you buddy up with someone and each pick 2 dishes and share half of each so you get to try more food. I loved the food here but it only filled me up temporarily and normally I can never finish my meal! I picked three of the starters style food which would probably explain why. This is one of those hidden away restaurants that unless someone points it out to you, you probably wouldn't know it was there! When my boyfriend and I were trying to search for this place we actually walked past it. Twice! Only to ask a local shop owner where it was and find it was directly across the street - oops! But the place was really nice, quite simple but quirky and the staff were extremely friendly - we went to the one on Tottenham Court Road. The food was served quick and to high standard too! It also wasn't too expensive to eat here! I really loved this place! It has such a nice atmosphere to it and the food is so tasty! I talked about going here on one of my 'weekly diary' posts so I won't go into too much detail here! If you're looking for a place to go with your pals, have a few nice (strong) cocktails, and eat some really tasty food, then this is the place for you to go. I had my first try of mussels here and let me tell you, they were the most tastiest thing I've every tried! So I've been a bit cheeky here - but I actually went here last summer but never mentioned it on my blog! I knew I couldn't go without mentioning this restaurant as it really was a nice treat. The food here is so well presented, I mean, just look at that salad! Sushisamba is located at Heron Tower so you get a phenomenal view of London! I went here with my family, who half were vegetarians and my parents aren't a big fan of sushi - but everyone loved it! There was a good few dishes for everyone to try and they all really enjoyed it. We each choose a starter and main each but actually ended up sharing a lot out where we could! If you want to treat yourself to a nice view and a pretty darn good meal then this is definitely a good shout! I went here with my boyfriend a few months ago and I really enjoyed myself. I actually went to the one based in Virginia Water but I know there are a few located in central London. This place is essentially a fancy Italian, but their food is so tasty. 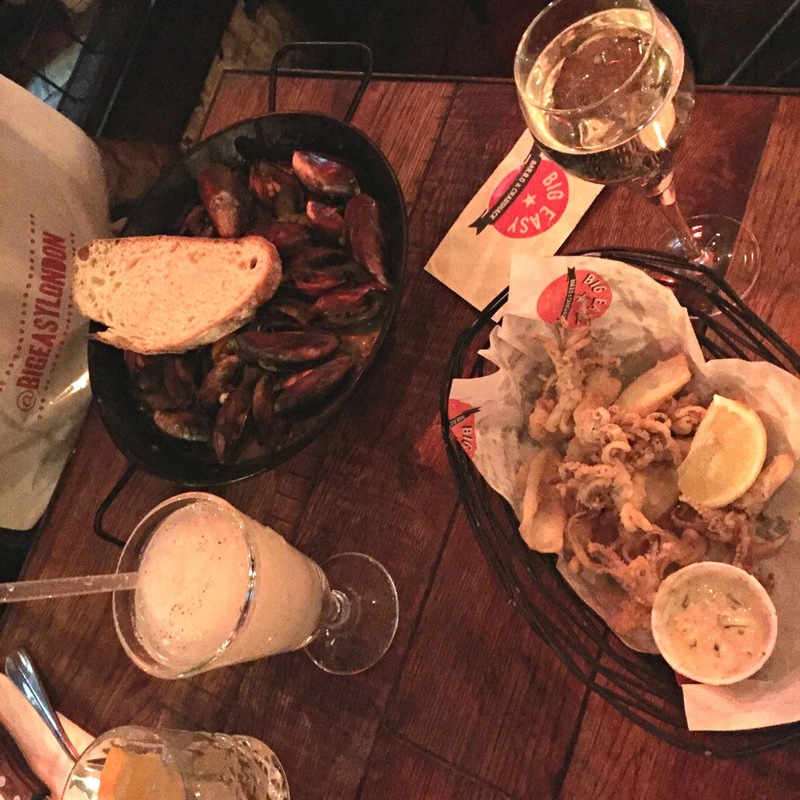 If you're not too adventurous but want to go somewhere nice then Piccolino's is the perfect place to go. Sometimes you have to be quite dressy here, but I went on a Friday evening and there were few families dressed quite casually. I personally think it's nice to dress up to go here! I went here for one of my friends 22nd birthday in July and we were lucky enough to get our own little room! It's a Japanese restaurant where the chef cooks right in front of you! It can get quite lively inside with a lot of people excited from all the fancy tricks the chef performs and it's overall a really nice experience. At first you don't think you will get enough food to fill you up but at the end you're walking out with a 2 month old food baby developing! If you go, I highly recommend the prawns and the dipping sauce they give you for it is so darn delicious! Finally, Madison's! This is one of those places that you see at least one person on your Instagram feed posting a picture of! You can go here just for drinks as it's a rooftop bar/restaurant. But we went here just to eat once to celebrate the end of uni for my two best friends! We all opted for mains only. 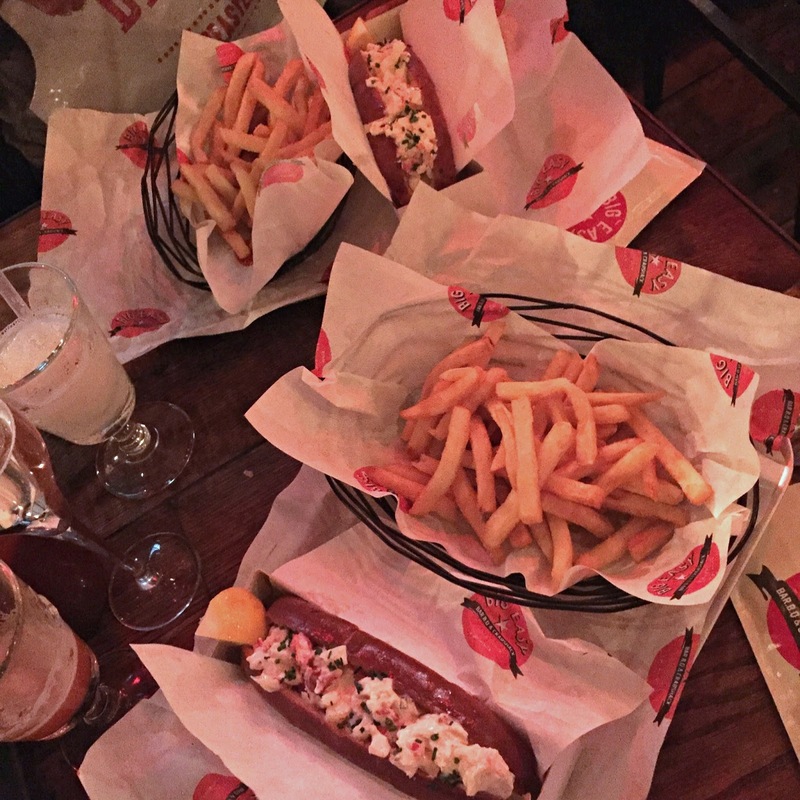 I had a Lobster roll which was really nice and probably nicer than the one I had at Big Easy. This place is also quite expensive but I think, again, it's nice to go for something that you're celebrating. It's quite a fancy place to go and full of business people dressed in suits and pencil skirts! So definitely dress to impress when you go! Apologies for some of the poor quality pictures. Some of the restaurants are quite dark and I often take snapchat pictures rather than normal ones! Next time it'll be better ;) I'm always looking for new places to eat so if you have any recommendations.. send them my way!